When comparing results of treatment retention, reductions in criminal behavior and even gains in health and well being, chronic heroin addicts given medical grade heroin for a year did far better than those given methadone for that same time period. Opiate substitution programs, such as methadone maintenance, and more recently, buprenorphine treatment, have long been the gold standard treatment for opiate dependence, but a study just published in the New England Journal of Medicine implies that another drug might work better. Heroin addicts, it seems, respond better when given…heroin, as a form of addiction treatment. Methadone works quite well, for the people that take it, but as many as 25% of heroin addicts do not respond to the medication and its side effects and find its use intolerable. 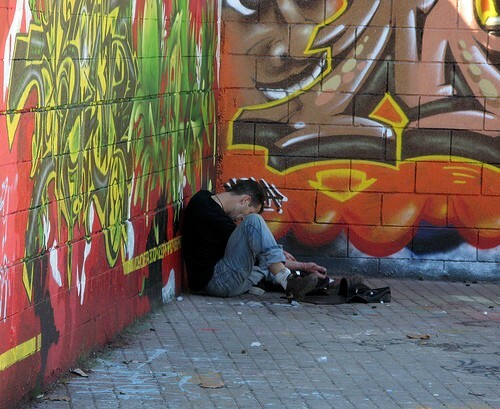 Several European countries (The Netherlands, Switzerland, Great Britain) have implemented prescription heroin programs to reach this entrenched population of users, in an effort to reduce street crime and improve the health and well being of the addicted population. These European experimental heroin programs, modeled on harm reduction, have been considered successful. The Canadian government brought funding dollars to the table allowing North American researchers to run a large scale real-world experiment based on this European practice of prescribing heroin. These study participants were considered chronic users and unresponsive to treatment (due to previous treatment failures). All subjects also received counseling and addiction treatment as warranted under Canadian best practice guidelines. The group receiving the diacetylmorphine injections, injected the drug at a clinic location, under medical supervision. They were able to access up to 1000mg of the drug per day, injecting up to 3 times daily. The 2 primary measures of treatment success (as defined by this harm reduction modeled approach) were treatment retention or drug free status at 12 months and percentage reduction in criminal activities, at 12 months. 88% of the diacetylmorphine group stuck with treatment (or were drug free) at 12 months and 67% reduced their participation in illegal activities. 54% of the methadone group remained in treatment after 1 year and 47% had reduced their criminal activities. The researchers found that after a year of treatment, the diacetylmorphine users also showed significant improvements in economic status, employment, familial relationships, health and psychiatric status. One study participant died from an opiate overdose during the course of the research. That subject had combined the prescribed methadone with other illicit drugs. In all, participants assigned to the diacetylmorphine group experienced many more adverse events (51 compared to only 18 by methadone users), including seizures, infections and overdoses. As diacetylmorphine users were required to stay at the clinic for 30 minutes following injection, health workers were able to intervene with naloxone in a timely manner for those that overdosed, saving lives. In 70% of overdose situations, the subjects later admitted to combining other drugs, such as cocaine or benzodiazepines, with the injected medication. The study shows that methadone treatment can work well, even for people that have struggled for years with addiction and with previous failed treatment attempts. The study also shows, however, that medical grade heroin works considerably better than methadone in treating this same population of users.